Introducing the Philadelphia Phillies! Get this MLB ball today and crush the competition! 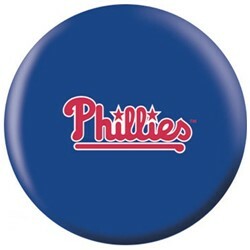 Due to the time it takes to produce the OnTheBallBowling MLB Philadelphia Phillies ball it will ship in 1-2 weeks. We cannot ship this ball outside the United States.